When you need help in facing a difficult time in your life, our dedicated, kind and caring staff will be there for you. Walter is an Assistant Professor at Walden University’s Counselor Education and Supervision Doctoral program. 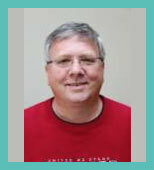 He is a Licensed Professional Counselor and a National Certified Counselor. Walter is also a Board Qualified Supervisor for LPCs. He is serving as a member of the Mississippi State Board of Examiners for Licensed Professional Counselors where he presently serves as the Board Chair. Walter is an Ordained United Methodist Minister, and in 2009 he completed his Doctor of Philosophy Degree in Counselor Education from Mississippi State University. Walden University. 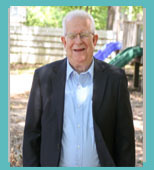 Walter is a past-president of the Mississippi Licensed Professional Counselors Association, and he served as the Chair of the By-Laws Committee for the American Counseling Association. Walter serves as the Senior Editor for the Journal of Counseling Research and Practice (The Mississippi Counseling Association Journal). In 2006, Walter received the American Mental Health Counselors Association’s Counselor of the Year and the Mississippi Licensed Professional Counselors Association’s award for Licensed Professional Counselor of the Year. Lynn provides counseling services in the Port Gibson offices. She is a graduate of Mississippi College with a Masters of Science in Counseling Psychology. She also has a Juris Doctorate Degree from the University of Mississippi Law School. Lynn graduated in August of 2011 with a Doctor of Philosophy in Counselor Education from the University of Mississippi. Lynn is a Licensed Professional Counselor and is Board Qualified Supervisor. 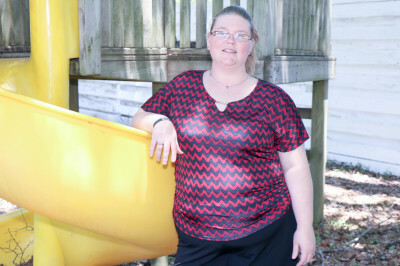 She is a Registered Play Therapist, and she also is a member of the Mississippi Bar Association. She is a Past-President of the Mississippi Licensed Professional Counselors Association and the President-Elect of the Mississippi Counseling Association. Kathryn is a Licensed Professional Counselor. She graduated from Mississippi College in 2013 with a Master’s in Marriage and Family Counseling. 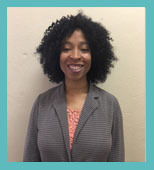 She is currently pursuing her Ph.D. in Counselor Education from Walden University. She specializes in couple and family issues. She is trained in Basic EMDR therapy. 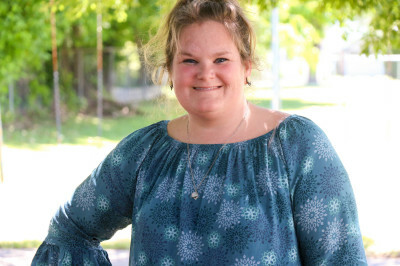 She is a member of the Mississippi Counseling Association, American Counseling Association, and the Association for Counselor Education and Supervision (ACES). She is also secretary of the Mississippi Licensed Professional Counselors Association (MLPCA). Harold is a Licensed Professional Counselor for the state of Mississippi and provides counseling services at our main office on Cherry Street. He is a graduate of Nicholls State University in Thibodaux, LA. . Harold is a former secondary education teacher. He has experience in substance abuse clinics, private practice, inpatient services, and has worked with in the correctional facility. 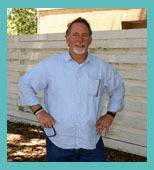 He has over 20 years’ experience counseling in various settings. He is a member of the American Counseling Association. Chaney is a Licensed Professional Counselor in the state of Mississippi. She is a graduate from Mississippi College with a M.S. in Marriage and Family Counseling. She holds a certification from the National Board of Certified Counselors (NBCC). Chaney has experience in hospital settings and domestic violence work. She has received additional training in Trauma Focused Therapy. She is a member of the Mississippi Counseling Association. 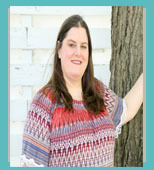 Melissa is a Licensed Professional Counselor for the states of Mississippi and Louisiana. She is also a Nationally Certified Counselor and holds a License from the MS State Board of Examiners Professional Counselors. She also is a Board Qualified Supervisor for the state of Mississippi. Melissa holds a Master of Education Degree in Counseling with a specialty in school counseling, as well as a Specialist of Education degree in counseling from Mississippi College of Clinton, MS, and is currently pursuing a doctoral degree in General Psychology from Capella University. Melissa conducts sessions with families, couples, parents, and individuals who are dealing with a variety of issues from communication and conflict, to grief and loss, divorce and infidelity. She has conducted workshops, presentations and various other speaking engagements within the community. Dave is an Ordained Deacon in the United Methodist Church. Dave holds a Master Business Administration from University of Montana and Bachelor of Science in Business Management from Mississippi State University. His seminary training is from Asbury Seminary in Wilmore, Kentucky. Dave is a retired Colonel from the Air Force. She holds an associate's degree in Office Technology. Currently enrolled in Alcorn University pursuing a Bachelor's degree in Business Administration. 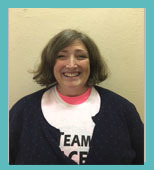 Anna is responsible for handling billing and scheduling for Grace Christian Counseling Center. She is certified in Mental Health First Aid.